More than four hundred years ago Spanish author Miguel de Cervantes (1547-1616) sent his irrepressible optimist of a hero out to tilt at windmills - and Don Quixote and his philosophical squire, Sancho Panza, still remain among the world's most popular and entertaining literary figures. In this adaptation of the Cervantes' classic, Rob Davis uses innovative paneling and an interesting palette to bring the Knight-Errant to life. 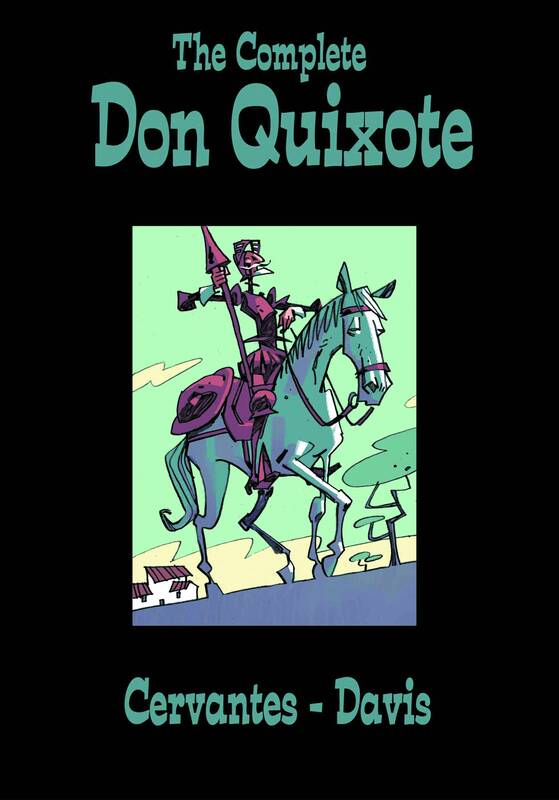 This is sequential storytelling and art at its finest as we follow Don Quixote on his search for adventure and chivalrous quests - and he will not be defeated by foes such as logic, propriety, or sanity!